The British player outlasted 510 others to claim the coveted gold WSOP Circuit Ring. 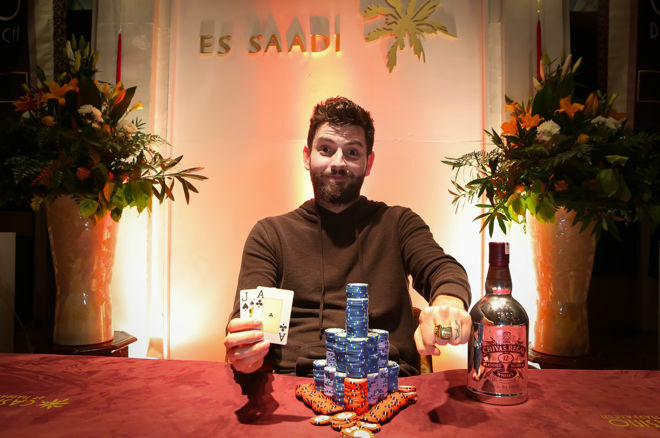 Arron Fletcher has won the 2017 WSOP International Circuit Main Event in Casino de Marrakech! The British player outlasted 510 others to claim the coveted gold WSOP Circuit Ring. Fletcher took home an astonishing 1,400,000 MAD ($140,224) by winning this record-setting event. Runner-up was Spain's Pedro Rodero, who cashed 910,000 MAD ($91,146). Winner of the inaugural Main Event two years ago, Ricardo Manquant finished in ninth place. Twenty-three hopefuls returned at 1 p.m. for the final day and continue their quest for WSOP glory. In the first level of the day, action started off furiously. For [Removed:16], Cheng Li, Thibault Saillard, Thierry Gogniat, Roland Rozal and Thomas Cristobal, their hopes of capturing a WSOP ring got crushed in the early stages. In the second level of the day, one of the most crucial hands of the day took place. Romain Lewis, who started the day second in chips, suddenly went out after losing two hands in a row. In the first hand he lost pocket eights against ace-ten, then Lewis got it in with pocket aces against Fletcher's pocket tens. It was a pot big enough to give either winner the chip lead; a ten on the flop gave the pot and lead to Fletcher while Lewis headed for the exit. Needless to say, the monstrous pot was pivotal to Fletcher's eventual success. Selim Oulmekki, Hakim Hadj, Teresio Ciancanelli, Jaouad Berrada, Tsunamy and Vincent Mansour quickly followed Lewis to the exit. With 10 players left, it was Pedro Jimenez who became the final table bubble boy. Jimenez went out in style, as he ran against a true Royal Flush from Mika Kakkonen. Needless to say, the monstrous pot was pivotal in Fletcher's eventual success. At the final table, Ricardo Manquant would be the first to go after losing queen-ten against pocket jacks. Manquant, who won the first edition of this event back in 2015, saw his second attempt at a circuit ring come to an end in ninth place. He was soon followed by Matthias Widmann, who couldn't catch up with ace-trey against ace-queen and ended in eight. It took over two hours for the next player to bust. It was the last-standing Frenchman, Mohamed El Bakkouri, who fell by the wayside. Holding ace-king, El Bakkouri lost against Fletcher's ace-queen when a queen appeared in the window. After the dinner break, start-of-the-day chip leader Julio Sanchez went out in sixth. Sanchez lost the classic flip of pocket tens against ace-queen when an ace on the turn sent him packing. Mika Kakkonen soon followed him to the rail in fifth place after losing pocket fives against Rodero's ace-king. 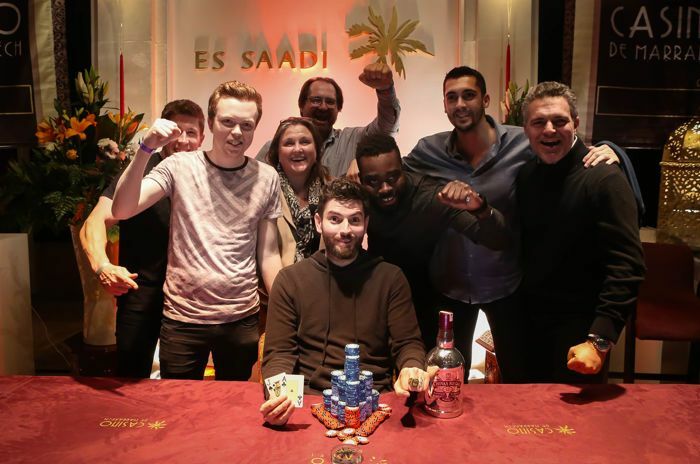 With four players left, the biggest hand of the final table took place. Chip leader Fletcher and runner-up Hamza NBaba clashed in a pot that contained more than half the chips in play. Fletcher held pocket aces and NBaba had the inferior ace-king. All the money went in pre-flop and NBaba was left drawing dead after the turn. The last hometown player in the tournament received 465,000 MAD for finishing fourth, but will probably not forget the biggest cooler of his poker career anytime soon. Fernandez was the lucky short stack that laddered up due to the big clash. Being short for hours, Fernandez eventually succumbed in third place, netting himself a nice 635,000 MAD payday. The heads-up started with Fletcher holding more than a 2:1 chip lead over his opponent Rodero. Although Rodero found himself at risk multiple times during the heads-up battle, he proved to be the proverbial cat with nine lives and doubled multiple times. Eventually, Rodero succumbed to relentless raising and reraising from Fletcher. Rodero called an all-in with queen-ten, but Fletcher had ace-jack and held up to win the tournament. That's all from Casino de Marrakech, located in the beautiful Es Saadi Resort. PokerNews will be back here in March to provide all the updates from the 2017 Marrakech Poker Open. Au revoir et a la prochaine!